A straight par 4, running parallel to the railway line. 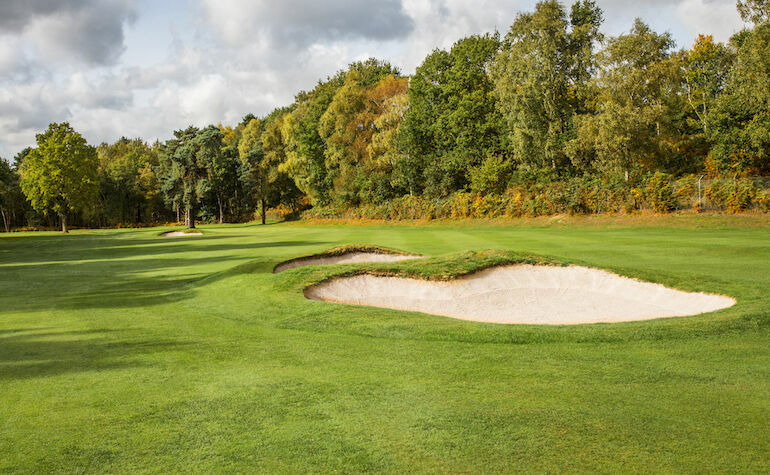 The more aggressive drive is to the right hand side of the two bunkers in the middle of the fairway, which makes for an easier approach shot. The green is well protected by a bunker at the front and by a row of bunkers around the right hand side.